I haven’t done too many paid gigs in my dancing career. It just hasn’t been something that I’ve been interested in doing. Performing, working on routines, marketing myself, have the right “look”, finding a partner, and hustling for gigs just sounds like a drag. 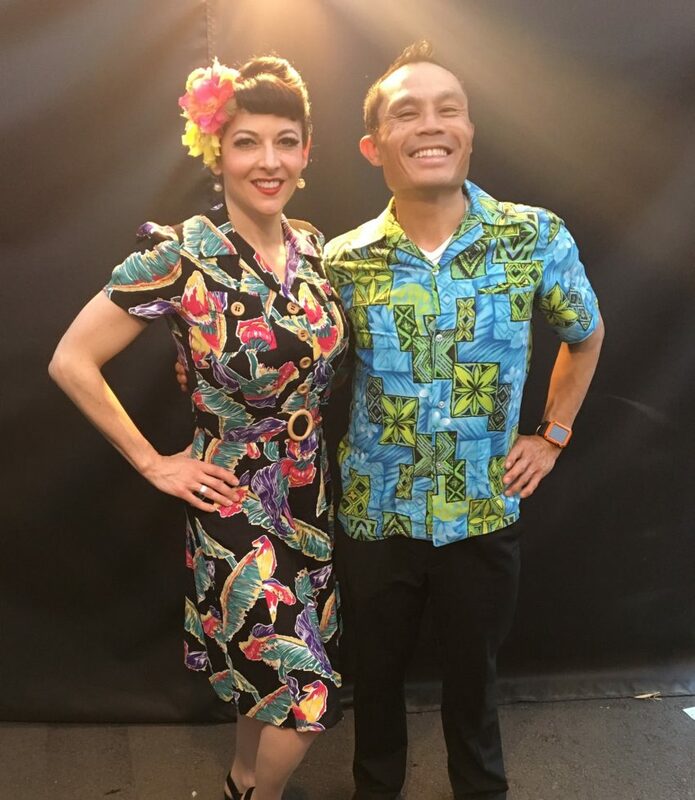 This weekend my friend Shannon convinced me to partner with her for a swing dancing gig at an Indian casino up near Fresno, California. Seemed like exactly the kind of adventure to have while on sabbatical! 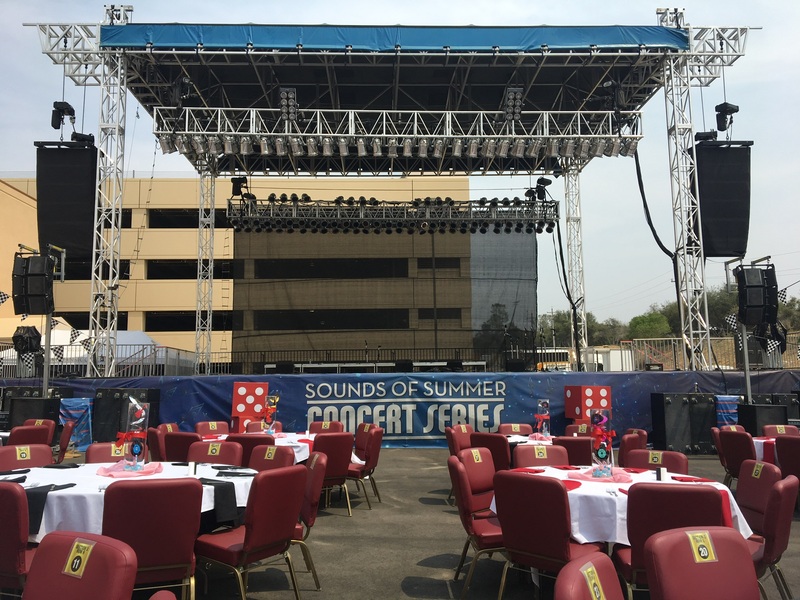 The venue was a large outdoor concert space, decked out with 50s themed decorations. A six piece swing band was the evening’s entertainment for a special event for high rollers at the casino. Our job as dancers was to dance to the band on-stage and get the audience dancing. The crowd, as you would expect, was mostly older white folks. There was a BBQ buffet, an open bar, and gambling just a few feet away in the casino. I wondered how much our music and dancing would interest them, given all those other temptations. I shouldn’t have worried. Ken the band leader did a great job at getting the crowd amped, clapping, and singing along. People were there to have a good time, whether they had canes, walkers, or wheelchairs. But the real fun was getting to dance with the older folks in the audience. Another African American woman just wanted to hold my hand and sing along to a Louis Jordan song. “This is my jam!” she explained. An older man Dan was a dancing fiend during the whole concert. He vigorously shook all our hands afterwards, thanking us for our dancing. Later on, Dan kept the party going in the dance club well past midnight. I kind of want to be Dan when I get older. It calls to mind something that my friend Neal does whenever he’s out in a public venue with swing music. He tells me that if there’s swing playing, his goal is to get the oldest person in the room dancing. It could be an outdoor concert in a park, a restaurant during brunch, or a wedding. If he sees an elderly person at a table with her family, he makes a beeline for her. It’s a good reminder to me that most all of us, regardless of our age or physical condition, love to dance. It’s a part of our DNA. All it takes is a little bit of encouragement, a gentle invitation, and they jump at the chance. Getting paid to get someone up and moving, beaming, laughing, and having the time of their lives is pretty damn good money.